Amid Political Turmoil, Republicans Warn Trump Not to Fire Mueller - Integration Through Media ....! 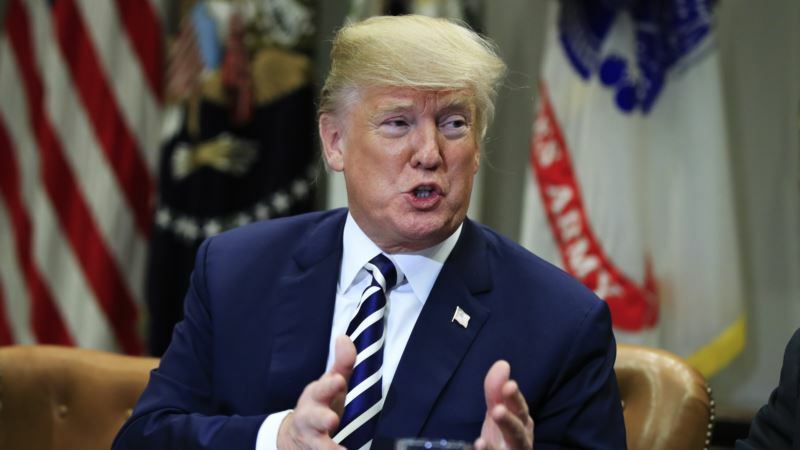 (VOA): Americans may become accustomed to the political turmoil swirling around President Donald Trump, but it remains an open question whether that turmoil will ultimately help or hurt Trump and his Republican allies, especially in an election year. Last week, it was Trump's firing of Secretary of State Rex Tillerson and an apparent Democratic victory in a special congressional election in Pennsylvania — a sign of a possible wave in the November midterm elections. This week, it was a series of presidential tweets criticizing the Russia probe, followed by a controversial Trump statement of congratulations for newly re-elected Russian President Vladimir Putin. Trump also added former U.S. attorney Joseph diGenova to his legal team. DiGenova has alleged that elements of the FBI and the Department of Justice have been out to frame Trump in connection with the Russia probe. ​Mueller's fate Trump ignored shouted questions Tuesday from reporters at the White House who asked whether he wanted to fire special counsel Robert Mueller, who is leading the Russia probe. Earlier, House Speaker Paul Ryan, a Wisconsin Republican, told reporters at the Capitol that he had received "assurances" that firing Mueller was "not even under consideration." The latest back and forth over the Mueller investigation came after several days of presidential tweets complaining about the probe, including one blasting it as a "total WITCH HUNT with massive conflicts of interest." The tweets sparked new fears that Trump might try to have Mueller fired. Some Republicans warned that an attempt to fire Mueller could put Trump's presidency in jeopardy. "I think anything directed at firing Mr. Mueller blows up the whole town, and that becomes the end of governing and the presidency as we know it," cautioned Republican Senator Lindsey Graham of South Carolina. Cabinet shuffle The renewed focus on the Russia probe came in the wake of last week's firing of Tillerson. That, in turn, raised the prospect of more administration changes. "There will always be change, and I think you want to see change. And I want to also see different ideas," Trump told reporters at the White House. Trump's allies see Cabinet and staff changes as a sign that he is feeling more in control at the White House. "You know, what I think the president is realizing is that after 15 months in office, he is more comfortable," Republican Chris Christie, the former governor of New Jersey, told ABC's Good Morning America. But Trump's critics see the turnover as the latest indication of endless turmoil. "Americans just don't like chaos," said Ken Gude of the Center for American Progress. Gude acknowledged that Americans elected Trump to "shake things up." But he said that so far, the drawbacks have outweighed the benefits. "Actually, just being a chaotic leader where people are leaving left, right and center, and there seems to be no driving theory behind who stays and who goes — that is the kind of thing that the American people will probably not like." University of Virginia political scientist Larry Sabato also saw the recent moves as evidence of the president asserting his leadership. "It signifies to me that Donald Trump believes that he can run the whole shebang, and that he can do it from Twitter," Sabato said via Skype, "whether it is declaring new policy, or arranging for the firing of a secretary of state, or any number of other things." Midterm momentum Another warning sign on the political horizon for Trump and Republicans was last week's apparent Democratic victory in a special congressional election in Pennsylvania, a district Trump won by 19 percent in 2016. That has sparked hopes among Democratic leaders of a wave election in November that could strip Republicans of their congressional majorities. "I feel pretty confident that we are going to win. We are going to win big. We are going to win a lot of seats. And that is going to be good for the American people," said House Democratic leader Nancy Pelosi of California. Many analysts see the midterms shaping up as a referendum on Trump. "I expect that the midterm elections are going to be a bloodbath for Republicans," said Jim Kessler of Third Way, a centrist Democrat group. "I really think it is going to be bad." Republicans fear that Trump's historically low approval ratings, still hovering near 40 percent, will pull down GOP candidates in November and boost Democratic turnout. "Well, the president is now at about a 41 percent job approval rating.That is not very good," said John Fortier of the Bipartisan Policy Center in Washington. But Fortier argued there is still time for Trump to improve his political standing before November. "If he were able to up that [his approval], with the economy being a little better, maybe it will get better as we get closer to the summer," he said. "Those would be things that would help the president's party." The political stakes in this year's midterm elections are huge. If Democrats win back a majority in either the House or the Senate, or both, they would have the means to block much of Trump's legislative agenda in the two years leading up to the 2020 presidential election.